First handheld gimbal with camera control interface. 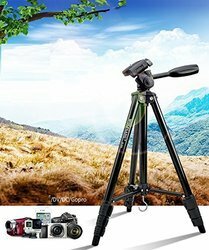 3 axis 360°degree rotation App & wireless remote control.Zhiyun own serve system not Russian Alexmos controllers) provide update the gimbal Battery: 2 types of battery adaptation provide 6-12 hours working life Built-in compact slip rings enable the gimbal to have all 3 axes 360 degrees unlimited rotation. Our reputed entity is engaged in supplying Magic Arm. Description: This is used to stand over an alcohol lamp or Bunsen burner to keep wax pot warm. it is new c type camera head in 3 motorized.-full balancing and smooth work-camera load. 3-5 kg.-ideal for- wedding shooting, movie, serial, etc. 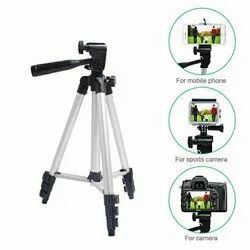 We are one among the leading manufacturers and suppliers of a gamut of Tripod Stand. Manufactured using high-grade aluminum procured from the prudent vendors, these are light in weight. Owing to their locking mechanism, these are widely acknowledged among our customers. Leveraging the skills of our qualified team of professionals, we are engaged in providing Digital Camera Lens.